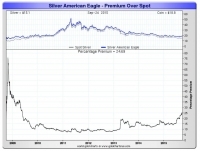 With widely reported backlogs in silver premiums have been moving steadily higher. 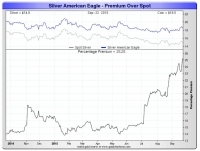 But silver USA Eagle premiums have soared. With widely reported backlogs, silver premiums have been moving steadily higher. As of 7th October, premiums from the Britannia's to Canadian Maples and Austrian Philharmonic's have been rising steadily and presently trading at between 25% to 28% over spot paper prices. The big mover has been Silver Eagles ! 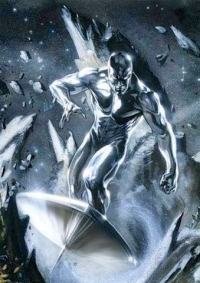 Courtesy of Sharelynx' Nick Laird who tracks precious metal premium by vendor, we continue our recent series showing the discrepancy between paper and physical metals, in this case silver. 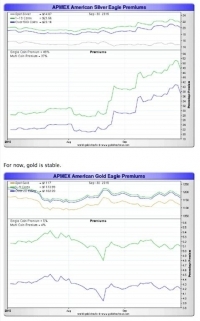 As Nick notes, APMEX price premiums are a lot higher than the Monex. 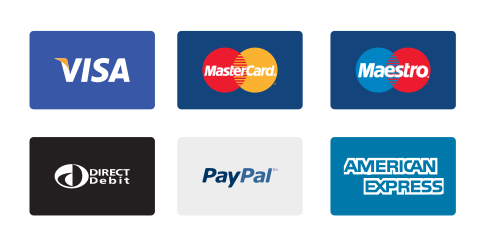 And as can be seen in the charts below, premiums rose above 50% for 1-19 coins & above 40% for 500 plus coins. Premiums just 1 month ago was closer to 20% and in early summer of 2015 was closer to 15% !